We can produce nets for both commercial and leisure use. 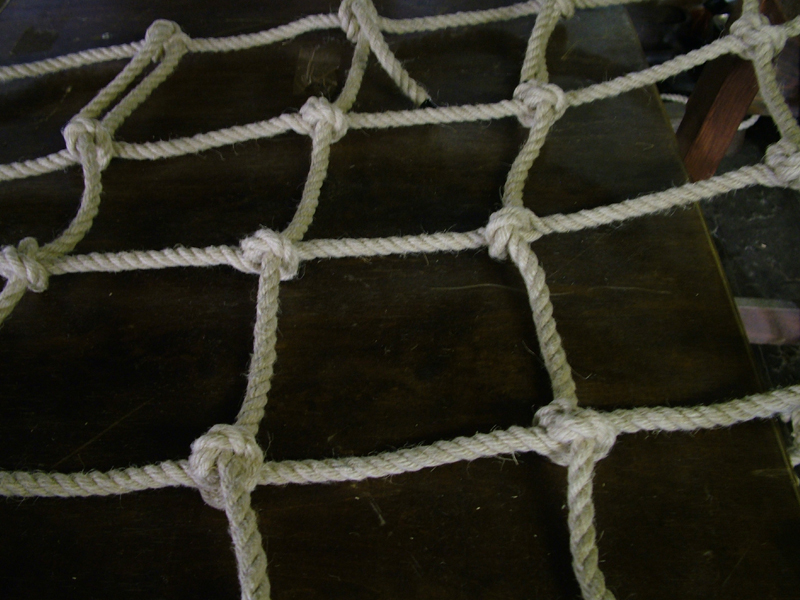 A cargo net on a climbing frame is a great addition for children to climb and made from synthetic hemp will last a long time and with it's natural colour fit in well with the wooden frames. 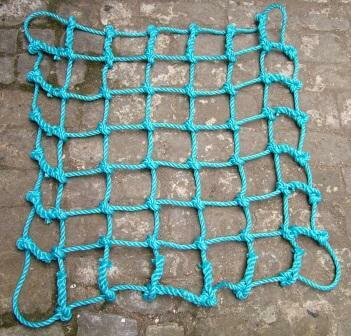 We can also produce a net any size made from blue polypropylene, these are more commonly used commercially.